C. hederacea of Michigan Flora. A species of eastern Asia, occasionally escaping from cultivation to roadsides and railroads. First collected in 1913 in Oakland Co. The flowers are pink and our specimens are all the sterile, double-flowered cultivar “Flore Pleno” (California-rose). This plant has at times been called Convolvulus japonicus, C. pellitus, Calystegia hederacea, and other names. We follow Fang and Brummitt (1995) in using the name C. pubescens. MICHIGAN FLORA ONLINE. A. A. Reznicek, E. G. Voss, & B. S. Walters. February 2011. University of Michigan. Web. 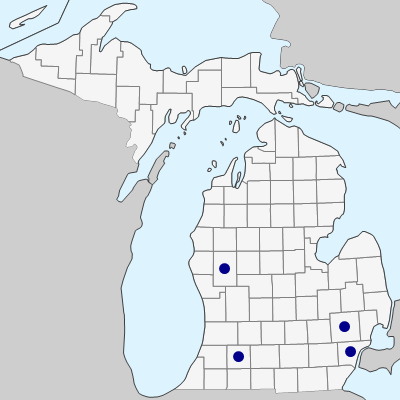 April 21, 2019. https://michiganflora.net/species.aspx?id=844.